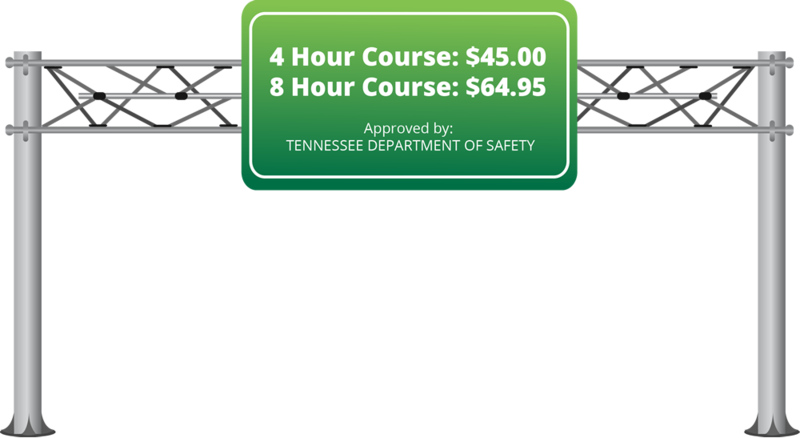 Approved by: Tennessee Department of Safety Certified AAA Instructors 4 & 8 hour defensive driving courses available. Save $10 on our 8 hour course by registering online today. Fast Forward Traffic School is here for you. Whether you have received a speeding ticket, want to lower insurance, or have a desire to improve your driving, we can “Fast Forward” you to your goal. 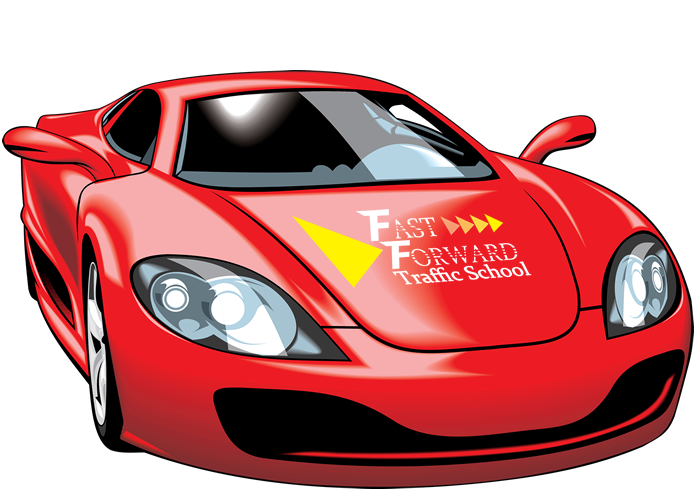 Fast Forward Traffic School has AAA Certified Instructors that will accommodate your needs in a fast and efficient manner. Our Murfreesboro & Lebanon defensive driving course traffic school is conviently located. Our defensive driving courses are conviently located in Murfreesboro & Lebanon Tennessee. The 4 hour course is $45.00. The 8 hour course is $64.95 if you pre-pay online or by phone, or it will be $75.00 the day of the course (cash, check, or credit). Register below to pay now. For the Murfreesboro location the course is located at Fairfield Inn & Suites by Marriott. Click here for directions to course. The course will start at 9:00 am. For the Lebanon location the course is located at Days Inn in Lebanon. Click here for directions to course. The course will start at 9:00 am. Which course do I have to take? If you were court ordered, you will be taking the 4 hour Defensive Driving Course. If you received a letter from the Tennessee Department of Safety you will be taking the 8 hour Defensive Driving Course. Checks are to be made out to Fast Forward Traffic School. No, this is a discussion based course. After you complete the course and receive your certificate if you took the 4 hour course you should mail, fax, or hand deliver it to the county clerk’s office in which you received your ticket. For the 8 hour course you should mail, fax, or hand deliver your certificate to the TN Department of Safety. It would be a good idea to make a copy of the certificate for your personal records. You don’t have to bring anything. We will provide pen and paper if you desire to take notes. The course is will lower most major insurance policies, but you should also check with your policy holder. If for whatever reason you can’t make the date you registered and paid for we will gladly get you reschedule for a later date, or grant you a full refund within 7 days up to one time, after that you will have to reregister and pay.
! You will receive email instructions for how to schedule your date upon payment! Pick-up and Return Included in Rutherford County (inquire if additional fee applies if you live outside the area). We understand that some parents are busy and need someone to ensure their child’s safety behind the wheel, and that’s what we pride ourselves in doing. Let’s face it. Getting a driver’s license is a major milestone in any teenager’s life. Teens can’t wait to cruise around town on their own. For parents, the milestone can induce sleepless nights, minor panic attacks, and feelings of anxiety. We will take away some of those feelings for you. Driving Lessons Cost $75 per hour: These are for those who are interested in just behind the wheel hours or some additional practice in live driving situations. Driving lessons are minimum 2 hour sessions and are always private lessons **special arrangements can be made for those only needing 1 hour contact us by phone**. No contracts for a specified amount of lessons required. Take as many as you feel you need. All lessons are given in our dual controlled vehicle, which are fully insured and inspected by the Tennessee Highway Patrol. Our school vehicles have automatic transmissions, however if a student wants to learn to drive a manual or standard transmission, instructors will work with you in your vehicle after you have proven your basic skills in one of our vehicles. We try to make this a fun and stress free environment all while learning that the roadway is a serious place. Our instructors will be patient with each student and give them the time they need. We accept all customers from first time drivers to those that have driven before but still need more practice. This is the class for you. - Learner’s permit or international license required for all lessons. - Free pickups / drop-offs available within designated service area. - Lesson availability is based on demand & please call (615) 589-3279 for details. How it Works... "it's that simple, you're done!" Class was very informative and great for your insurance. Lots of folks that needed the class for traffic violations but great for improving quality of professional drivers! Not the typical watch movies and take tests class. Very informative, it was fun and funny all together lol what's learning without a little fun? Sir Barrett is awesome and I would recommend FAST FORWARD TRAFFIC SCHOOL to ANYONE AND EVERYONE. Quick and easy course. Great instructor. I was so depressed about spending my Saturday in traffic school. If you have to do it, then there is no better place. The instructor, Barrett, is very funny, super professional, and made what could be a miserable experience (I've been to that one too) entertaining and it went by extremely fast. I cannot imagine anyone doing this better than he did. I didn't think I had anything left to learn about driving at my age, just to slow down! But I took away 2-3 tips I had never heard before and am using now to be a safer driver. Thanks Barrett! The class was taught very well. The Instructor was very knowledgeable and very personable. It does not matter how much you know, you will 100% walk out knowing more than you did before you walked in. I Wasn't Ready to get out of Bed this morning but really Enjoyed Barrett's class, It was Very Entertaining and Enjoyable. Barrette is So Personable and made Each And every person in the class feel Included. Loved the Family Feud style Game we started off with ! :) Great Work Barrette !!!! We pride ourselves in being fun and friendly yet informative and educational. Fast Forward Traffic School takes driver safety to the next level. © Copyright 2019 Fast Forward Traffic School. All Rights Reserved.